The concept of personal assistants has been around for a long, long time, and they indeed make one’s job a lot easier by sharing a hefty amount of your workload, maintaining schedules, prioritizing stuff, keeping track of projects and whatnot. With advancements in technology, a lot of that responsibility has shifted to our smartphones, further supported by the fact that not everyone can afford (or is entitled to) a personal assistant. Apple took the concept to the virtual world with its implementation of Siri, followed closely by Google Now and now, Microsoft’s Cortana for Windows Phone, with the latter being the highlight these days. 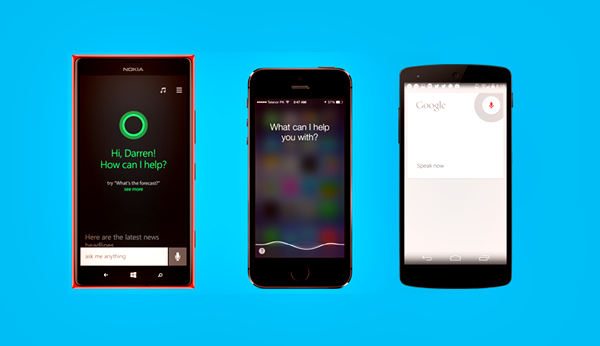 Cortana is not just the Redmond company’s answer to Apple’s Siri – it’s something better as well. For instance, I remember when Siri was in beta, it was buggy enough to hamper the user experience. With Cortana, although she hasn’t shed her “beta” tag as of yet, the virtual assistant is much more robust when it comes to functionality. Not to mention, Cortana has a significantly better sense of humor as well (and a more human voice). Since it’s pretty natural to compare all three offerings against each other with respect to their feature set and practicality, the guys over at PhoneBuff have made a series of videos asking 50 commands from each Cortana, Siri and Google Now, showing what each of them can handle and how well. As you can see for yourself, Cortana is decisively better than both the counterparts, thanks to not only its wider variety of tasks handled, but also the excellent linking between previously asked questions and retaining context. That’s something that I’ve struggled with the most in Siri, and Google Now is probably the worst at that. Simply put, talking to Cortana feels almost like you’re talking to a human rather than lashing out voice commands. Then again, it’s no Jarvis or Her, but perhaps we’re getting there. Virtual assistance apps keep becoming more and more powerful, allowing users to perform a lot of actions without touching their phones. The experience isn’t as natural as having a real assistant for now, but with the promise that Microsoft has shown towards Cortana, I can only imagine what the future will hold for us. Let’s see how soon we can make “Her” a reality.